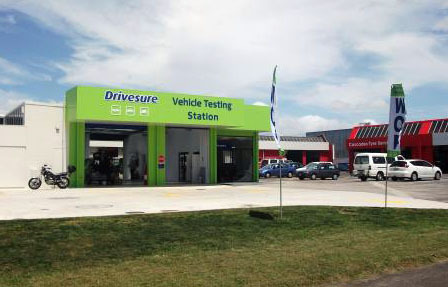 Drivesure Vehicle Testing Cascades WOF - 139 Cascades Road, Pakuranga. Hours: Monday – Friday 8am to 5pm. Saturday 8am to 1pm. Areas: Howick, Highland Park, Pakuranga, Botany, Clevedon, Beachlands. 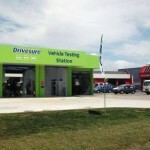 Your local Vehicle Testing Station for Howick, Highland Park and Pakuranga. The Drivesure difference is our helpful, efficient service. We are experts in vehicle inspections, and whilst we try to pass your vehicle we always put your safety first. Our NZ trained technicians are inspection experts, so you will get real, helpful advice. In a 2012 Target consumer test Drivesure rated #1, well ahead of both VTNZ and AA Vehicle Testing for service, efficiency and expertise. FREE oil check with your WOF ! WOFPlus check – we look at service items not in the WOF, so you know what needs service or repair.